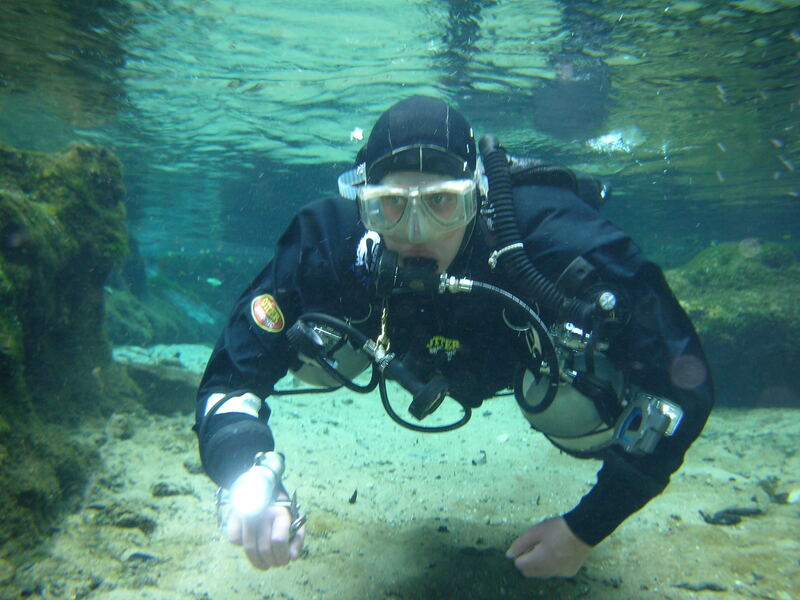 By Vikki Batten – PADI International Ltd Technical Consultant and avid cave diver. With the advent of the first PADI TecRec Distinctive Cave Diver Course there has never been a better time to start cave diving. It’s also a good time to take a look at the cave environment and why it is so appealing to cave enthusiasts. There are several types of cave. Divers usually classify them according to rock type and how they are formed: Coral Caves, Sea Caves, Lava Tubes, Ice Caves and Solution Caves. Although all these types of cave are diveable most of them form only limited tunnels and offer only short penetrations. 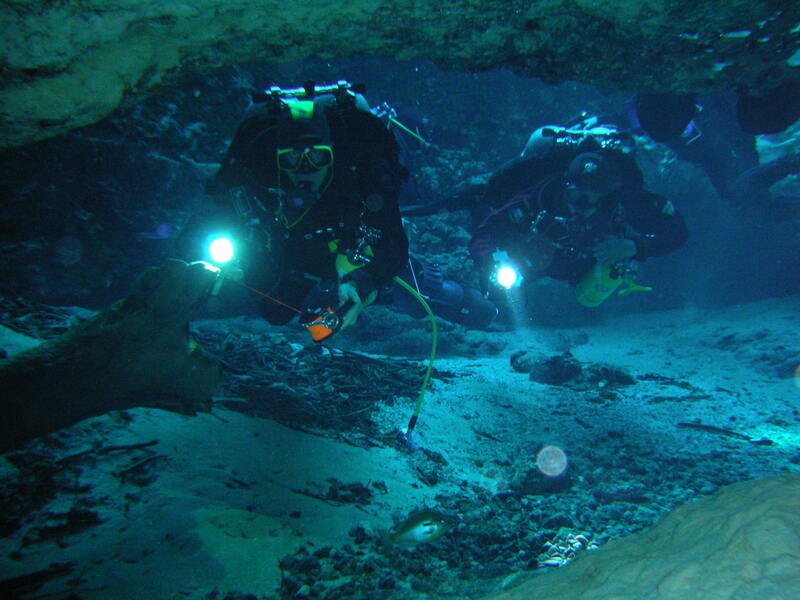 Solution caves are the most numerous and extensive and, therefore, most popular cave diving destinations. Some well known systems have miles of diveable tunnels with many entrances. Diveable Solution Caves are formed in limestone and dolomite by dissolution of these rocks by weakly acidic flowing groundwater. The water dissolves the rock and carries it away over thousands and millions of years until caves form. 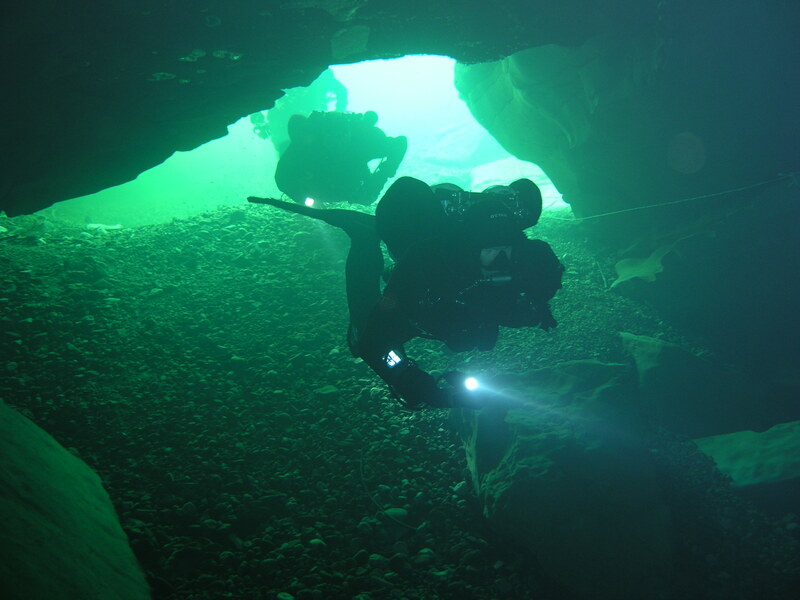 Underwater caves and their beautiful surroundings are a window into the past and cave divers often become amateur scientists learning about the geological features and biological history of the areas they dive. The different conditions under which they form create extremely varied results from simple conduits to systems with extensive branching or maze like passages. Some caves are highly decorated whilst others contain fossils of pre-historic creatures or give us a glimpse of a former coral reef sea bed. What about critters? The entrances to caves often have plenty of life in them and form shelter for anything living in the surrounding environment, whether it is marine or fresh water. However, the further you go back in most caves the less obvious the life becomes and unless you are a complete creepy crawly nut the critters are unlikely to be your motivation to cave dive. So, why cave dive? Well, let me tell you a story….. my Dad’s first cavern dive was in a well known cave in France called the Ressel. The entrance is 9 metres deep and the cavern zone (where light enters the cave) is not very long. To start with we went in just a few metres, swam around, had a good look and came back out. He had enjoyed it, so on the second dive we went in just a little further. When we were talking afterwards he said “ I’d definitely like to come back – I want to know what is beyond the area we dived!” Ha Ha – got you! THAT is the reason I cave dive. I fell in love with the geological features, the puzzle of how caves are formed and what the different formations tell us about their history but I will never have enough of cave diving because I am insatiably curious and no matter how far I dive in a cave I always wonder what is around the next corner! In the next instalment we will look at threats to this environment, and how divers can help to protect it for the future.